Just a week after we had the pleasure to do unboxing of the latest BlackBerry Bold Touch 9900, today we have another RIM guest – the Torch 9860. It’s in a completely different category though – with that 3.7-inch WVGA touchscreen it somehow suggests multimedia prowess rather than business. Of course, RIM would never cheat on its traditions and it has left nothing out of the business and messaging departments. The Torch 9860 is based on the same hardware as the Bold Touch 9900 – a 1.2GHz processor, 768MB RAM, capable graphics, 8GB internal storage. 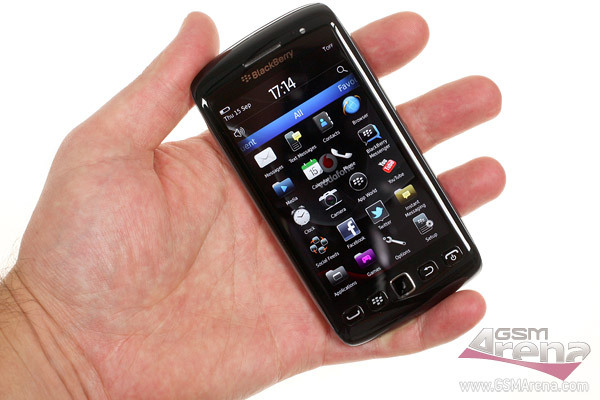 The latest BlackBerry OS 7 is also ticking inside. As you can see the Torch 9860 is a real pleasure to use. We are already working on our review and you should get it soon.